The feet contain a map of the body. This map shows zones that work in specific ways and directions. Every zone throughout the feet influences your body through reflexes. Your feet are a storyboard reflecting what may be happening within your four bodies of health; physical, emotional, mental and spiritual. There are specific foot zone techniques and therapies that in some form have been used as a healing method for centuries. Ancient paintings show this therapy was used to heal the body in both Egypt and India. Pictures from China and Native American stone drawings also show a tradition of healing through foot zone technique. 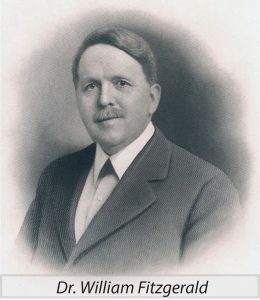 Modern foot zone technique began with Dr. William Fitzgerald who was born in 1872. Dr. Fitzgerald was an American nose and throat surgeon who developed a theory about electrical circuits in the body. In early 1900 he mapped ten vertical energy zones that circuit through the body from the ends of the toes and fingers to different zones of the body. Zones, according to Dr. Fitzgerald, are energy. Dr. Fitzgerald established that by using direct pressure to specific zones of the body, pain could be stopped within the corresponding areas of the body. This technique was known as Zone Therapy. An interested doctor, Dr. Joseph Shelby Riley, practiced this method built upon Dr. Fitzgerald’s theories. Dr. Riley discovered horizontal zones also extended to through bottoms of the feet. One of Dr. Riley’s office therapists, Eunice D. Ingham, discovered that these reflexes on the bottom of the feet reflected the internal organs of the body and named the modality Reflexology. 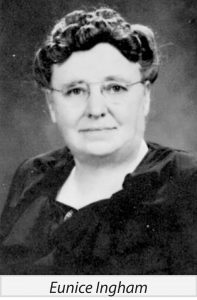 Ingham wrote books on the modality and began to teach reflexology. In the 1950s, a Norwegian doctor named Charles Ersdal was cured of paralysis after receiving two years’ worth of what some called reflexology and others called Zone Therapy treatments. 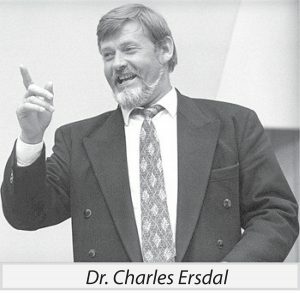 Dr. Ersdal’s experience led him to research zone therapy and reflexology. After 26 years of study and research, he determined the body contains its healing intelligence that is triggered through specific Foot Zone Therapy. Foot Zone Technique or Therapy uses the signal system of the feet to establish balance, renew cells throughout the body, and elevate energy. Dr. Ersdal found the body would respond as an interconnected whole rather than as a body with entirely separate parts. During his research, Dr. Ersdal charted human anatomy as it relates to zones on the feet. He drew much of the physiology of the body on the feet and included the brain, blood, and lymph circulations, as well as superficial muscles. These signal systems were discovered not only to be on the bottom of the feet but extended to the medial, lateral and top of the feet. Which at the time differed from reflexology. Dr. Ersdal’s final consensus found that Zone Therapy is an electromagnetic system that does not treat the body symptomatically, but holistically. This also differed from reflexology. Using pressing, rubbing, squeezing and manipulating of the foot’s surface and specific areas, trapped energy is released and allowed to flow freely. Painless, and unobstructed energy flowing from foot zones produces a healthy body. Amber Jensen, an American student and certified foot zone graduated of Dr. Ersdal in 1994, has furthered the research and progressed Foot Zone Therapy. To better understand the health needs of Jensen’s clients, she continued her further study in anatomy and physiology for the next 25 years. This led her to question missing information and holes that yet existed in the foot zone. With her 25 years of practical and educational experience, she has discovered over 100 additional foot zone signals, including more in-depth information of the Brain & Nervous Systems, Ventricular, Muscular, Circulatory, Respiratory, Skeletal, Digestive, and Lymph Systems, and the complete discovery of the Facial System. Jensen wrote anatomy and physiology books directed towards a more holistic approach for foot zone students. To obtain complete benefits of the Foot Zone Technique a foot zone must be administered by a Certified Zone Therapist or Practitioner who has gone through a foot zone certification course, such as Wellness Life Zone, headquartered in Utah and throughout many other states. Directly rubbing or having your foot massaged is not merely enough. The experience of foot zone techniques with a Certified Foot Zone Practitioner is necessary for achieving the full mental, emotional and physical benefits of Foot Zone Techniques. Foot zone sessions often last anywhere from 45- 90 minutes. Everyone is unique in their healing journey, so a trained professional foot zone practitioner can help you determine a schedule that is based on your needs and conditions. Often people who have gone through Foot Zone Therapy will “feel” their body telling them when it’s time for another foot zone session.